MANILA -- Expect more cooperation between the Philippine and US militaries following the completion of this year's Mutual Defense Board - Security Engagement Board (MDB-SEB) meeting on Thursday. Representing the Philippine military in the meeting in Camp Aguinaldo in Quezon City was Armed Forces of the Philippines (AFP) Chief-of-Staff, Gen. Carlito Galvez Jr., while the US was represented by Indo-Pacific Command (USINDOPACOM) head, Admiral Philip Davidson. "We have been doing this, year after year, and yet there is still so much left to learn. We hope that this year would be another fruitful interaction that will lead to favorable outcome. May our discussions lead to actions, and may these actions thereby lead us to success," Galvez said. USINDOPACOM is America’s oldest and largest military combatant command. Based in Hawaii, it consists of 380,000 soldiers, sailors, marines, airmen, and coast guardsmen and is responsible for all US military activities in the Indo-Pacific, covering 36 nations. 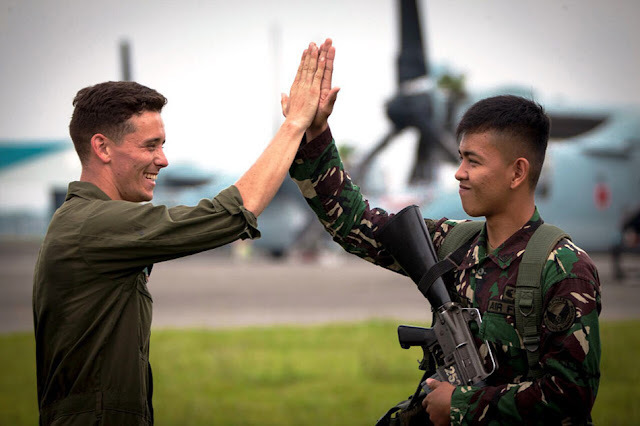 Galvez and Davidson ensured continued and robust relations between the respective militaries of the Philippines and the US. The meeting also resulted in the approval of 281 security cooperation activities between the two countries for 2019, higher than the 261 activities slated for this year. Both the Philippines and the US look forward to the ongoing, close cooperation in areas that are vital to national and security interests, including counterterrorism, maritime security, cyber security, humanitarian assistance and disaster relief, Galvez said.